CruelLEGACEY contemplates the future of Halo multiplayer. 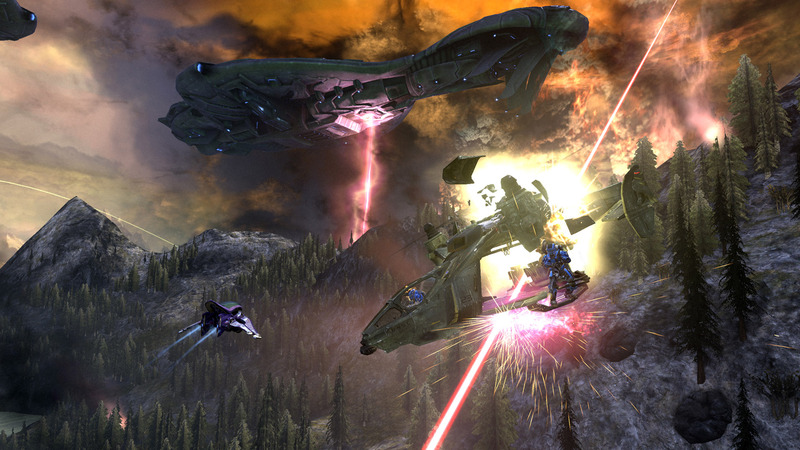 While the single player campaign is the heart of the Halo franchise, it is the multiplayer and other secondary features (forge mode, theater mode) that gives the series its legs. Halo multiplayer is in a strange state at the moment. The community is vast, and has pulled the game in several disparate directions. To their credit, 343 Industries have made a valiant effort to please everyone. Unfortunately, the results have been less than fans had hoped. 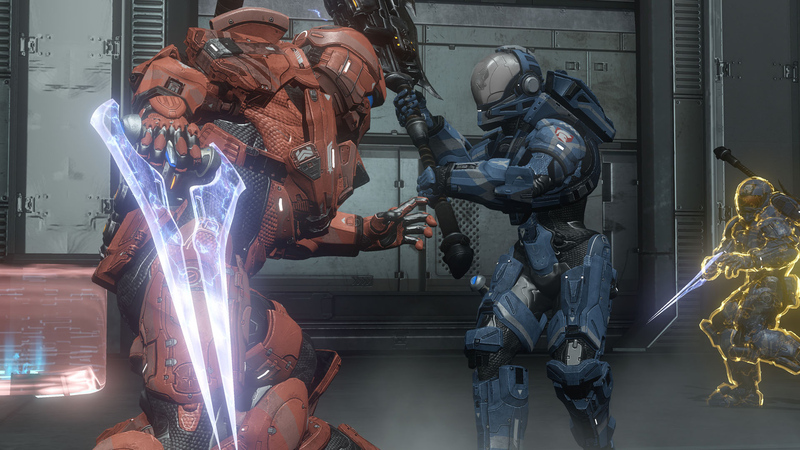 Multiplayer in Halo 4 tries to be something for everyone, and ends up mastering nothing. In my efforts to solidify my ideas for the future of Halo multiplayer, I’ve spent a great deal of time thinking about other games that handle multiplayer well. 343 clearly did the same thing while developing Halo 4; Call of Duty influences are rampant. But I think 343 learned the wrong lessons from the competition. Slapping a bunch of unlockable loadout customizations over your multiplayer game will not make it more enjoyable, especially when such loadouts break the fundamental balance that makes your game what it is. I can see the train of thought that lead 343 to make some of these changes. If we also have features X, Y, and Z, it’ll make our game easy for new players to get in to. The problem with this train of thought is that 343 hasn’t accounted for Halo’s inherent complexity. Even stripped of all the bells and whistles (such as customized loadouts and ordinance drops), Halo is a far more complicated game than CoD. So when you take the basic Halo mechanics and add all this clutter on top of it, the results are pure chaos. Of all the Halo games, I feel Halo 4 is by far the most difficult for new players to jump in and actually learn how to play properly. Everybody is using a different weapon each time you see them, power-ups are raining down from the heavens, and players are spawning all around you all the time. The game does nothing to encourage natural teamwork or co-ordination, and map-flow is practically obliterated. New players are quickly overwhelmed, and experienced Halo veterans get frustrated by the chaotic nonsense all around them. So, how would I fix it? What should multiplayer look like in Halo 5? Don’t Tell me what I can’t do! Before moving forward, I would take a step backwards. Since their inclusion in Halo Reach, armor abilities have been a point of much debate. Some enjoy the expanded range of options they provide. Others feel they are too difficult to properly balance. To me, it makes sense to expand the player’s abilities beyond the basic “walk/jump/melee” that we have now. Part of the fun in playing as a cybernetic super soldier is feeling powerful. But in order to maintain balanced gameplay, these abilities need to be ubiquitous. Games like Crysis, Section 8: Prejudice, or the upcoming Titanfall have shown that enhanced sprinting, climbing, and thruster abilities can still work within a balanced and competitive environment, as long as everyone has access to the same abilities all the time. Keep sprint as a default ability for all players. Add automatic climbing and vaulting abilities that allow players to pull themselves up to ledges that are within reach. If added as default abilities, these changes will help players feel empowered by expanding the range of available combat options. They are also somewhat self-balancing. The ability to vault and climb leaves players vulnerable and unable to return fire. Sprinting and thrusters both increase the player’s ability to move quickly around the environment, and can also be used to avoid each other (a jump/thruster maneuver could easily dodge the dreaded sprint/melee combo). Pick a formula, and don’t mess with it. What game are we making? I’m about to piss some of you off, but stick with me: the original shipping version of Halo Reach was the most balanced and well tuned Halo multiplayer has been. It wasn’t the most well suited for all gametypes (I can hear the competitive crowd shouting at me already), but that is a different issue. Let me explain. Default Reach multiplayer was built around a very carefully tuned sandbox. Every weapon, every ability had its role, its strengths, and its weaknesses. Certain elements were not to everyone’s tastes (armor abilities, reticule bloom), but they all functioned properly within their intended design. The drawback to this sandbox is that it was only properly balanced when all elements were in play. If you removed armor lock, suddenly the sprint/melee combo became a problem. When reticule bloom was reduced or removed, most maps suddenly became plagued by cross-map spawn killing because they weren’t designed with such long range combat in mind. By 2012, Halo Reach multiplayer was a disaster. The carefully constructed sandbox had been blown apart in a dozen different directions, all in an attempt to please various corners of the community (most of whom were not satisfied with the results). The lesson to be learned here? Commit to your designs. 343 needs to decide exactly what kind of game they are making, and make that game the best it can be. I’ve discussed a few of my ideas for default player abilities in Halo 5, but whatever designs 343 lands on, they need to commit to that design 100%. You can’t design maps, weapons, vehicles, and damage models all around each other, and then start changing pieces of the formula without causing problems. My Spartan shouldn’t run faster in one playlist than he does in another, my pistol shouldn’t do more damage in one gametype than another. These things should be universal across the entire matchmaking experience. If changes are made, it needs to be in service of that initial design goal, not because you want to change your game in to something that it isn’t. 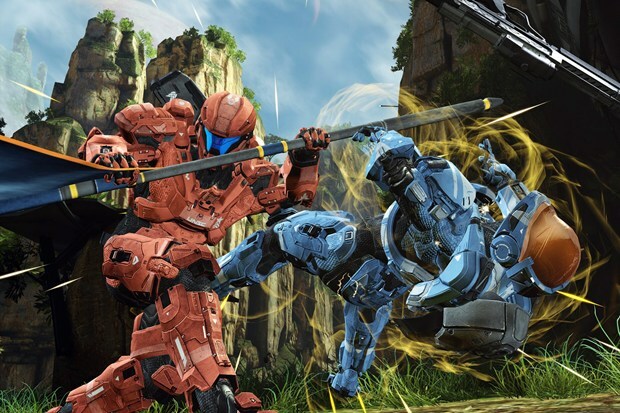 So, what kind of multiplayer game does Halo 5 need to be? Of course, “Halo” means many different things to different people. My idea of a classic “Halo” experience is not the same as the next person’s. I have some ideas on how to address these challenges, which I’ll get to later. 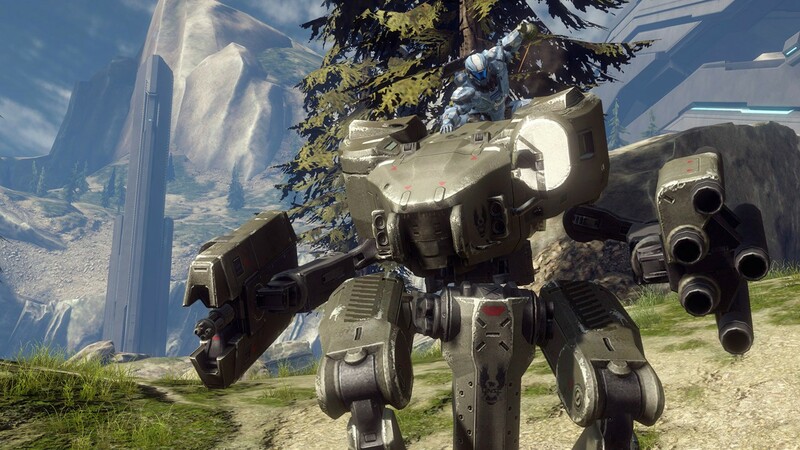 But first, I think 343 needs to re-think what the “default” Halo gametype looks like. For years it has been Team Slayer; red vs blue, most kills wins. For experienced players, Team Slayer is often the most ‘pure’ form of the game, with the greatest potential for high-level competitive play. The problem is that in order to enjoy Team Slayer, you and your team need to have a pretty good idea what you are doing. Compounding this is the fact that Team Slayer provides no guidance or feedback for the player. Newcomers are quite literally thrown to the wolves. Is this really the best way for newcomers to learn how to play your game? Is this the best experience? In my opinion, Halo 5 needs to offer a better way for players to learn how to play. And the way to do this is with Objective Gametypes. Objective matches inherently direct the player. Even if I’ve never played before and nobody on my team is communicating, I still know “oh, I need to defend this thing over here”, or “my job is to go grab that thing over there”. Objective matches promote roll-playing within the team, so new players don’t need to worry about mastering the entire sandbox all at the same time. They also tend to divide the map into clear zones or territories, allowing new players to focus on learning 1 small space at a time, rather than spawning them at different points on the map every time they die. To do this properly, Objective maps need to be designed from scratch around objective gametypes. 343 can’t just take a Slayer map and stick a few Flag capture points on it. They need to look at how games like Battlefield handle objective separation and traffic flow through maps. Or better yet, look back at previous Halo games. Asymmetrical maps like Zanzibar or Terminal offered exceptional objective-based experiences. They provide a mix of infantry and vehicle combat, with both large scale and close-quarters encounters. Above all else, they create stories. The emergent gameplay experiences that come from big-team Halo objective games are in my opinion the pinnacle of Halo multiplayer. Every single game has a sense of progression; an ebb and flow. When you consider their guided nature, combined with the range of experiences they offer, it makes perfect sense to put a strong focus on a set of objective-based maps and gametypes at the heart of Halo 5’s multiplayer experience. With a core objective-based pillar in place, it then becomes a challenge of pleasing everybody. Easy, right? Going back to my earlier point about Halo multiplayer being pulled in too many directions, I feel the playlist system needs some serious scaling back. Rather than having a dozen half-baked playlists, I believe Halo 5 would benefit from a smaller selection of tight, polished, and refined playlists. Yes, some fans will be initially upset that their favorite niche playlist has been cut. But for the sake of a more focused online experience, some cuts need to be made. Objective (6 v 6, the primary playlist. Asymmetrical round-based objective games, maps designed specifically for this playlist). Dude, where’s my Custom Games? We know Halo 5 will feature dedicated servers (it’s just about the only thing that has actually been confirmed at this point). So with dedicated servers a reality, there is no longer any excuse: Halo 5 MUST have a custom server browser. Custom games have been a staple of the Halo franchise from the very beginning, but there has never been a great way to access or enjoy them without organizing playdates or community events. For the communities that thrive on customized game types, they could have direct control over the exact perimeters they play with. No more waiting for 343 to update the Grifball or MLG playlists. Each group could run their own server, and people looking to play these gametypes could join through the browser. Let’s face it: 343 will never be able to provide the ideal playlist for Halo Tracks, MLG, or Grifball Hub. These communities know what they want, and are able to create it for themselves better than 343 ever could. So let’s pull these gametypes out from under 343 and run them ourselves. Let 343 focus on core Halo experience; the gametypes and playlists that they are truly passionate about running. This setup really could give us the best of both worlds; an exceptional AAA multiplayer matchmaking system, and the freedom that only Halo can deliver. .
With that, we’ve come to the end of “If I were making Halo 5”. Thank you very much for reading. If you’re tuning in late, you can catch up on Part 1 and Part 2. Please do let me know what you think in the comments below. Here’s hoping Halo 5 is as amazing as we all know it can be! This entry was posted in Articles, Halo 4, Halo 5, Uncategorized and tagged articles, halo 4, halo 5, If I were making Halo 5. Bookmark the permalink. Part of the problem with Halo… from my standpoint. You might as well call it a team slayer playlist then. Unless you bring along enough people to power vote it towards an objective. Any playlist that mixes Team slayer in it… will 99% of the time be a team slayer playlist. Because that is all you vote for. And the fact that you think newer players are better off being thrown into objective playlists… really shows how far out of touch you really are with this subject. Please stop suggesting ways to help Multiplayer for Halo. You are part of the problem not the solution. The only solution for Halo is to go back to Server Browsers. And for all the people that can’t stand playing what 90% of the community agrees on….Too bad. Because the reality is this. The only reason you people like Matchmaking… is because it forces people like me to play a stupid gametype that you like to play. Otherwise most people would play the good gametypes instead. And you would never get a chance to play your rockets only on Wizard. etc. IE. Matchmaking playlists, force the Majority to play what the minority wants. At the same time. IT also forces the minority to play what the majority wants. Matchmaking forces people to play stuff they don’t want to play. Get that through you heads. And you’ll realize why Halo has been in a decline. It is. No single weapon or ability dominated the sandbox, everything fit it’s roll with appropriate strengths and weaknesses. Some people didn’t enjoy elements of Reach’s design, but it was phenomenally well balanced compared to H1-3. Legacy, tells it like it is. This the best Halo opinion piece I read that year. I want “automatic climbing and vaulting abilities that allow players to pull themselves up to ledges that are within reach.” just had flash of all the possibilities of this statement and in short it just makes bloody common sense really. I agree on you 100% with everything said here. However, Gardner6291 also does raise the good point that Custom Loadouts do reside comfortably in a PvE environment like Firefight & Spartan Ops. But I think the Custom Server Browser has to be THE key feature you proposed. It would solve a whole world of problems! 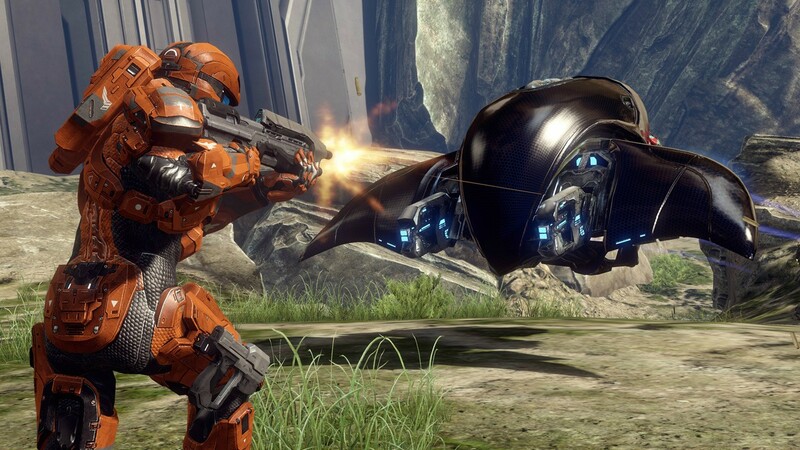 Players would no longer need to depend on 343 Industries to provide their ideal multiplayer gametypes on public servers, as 343 could allocate their time to other tasks. Players would no longer be limited to a match-made, stat-tracked competitive environment to just play multiplayer casually, and can find “servers” with the gametypes they want to play with the people that want to play them, improving the chance of an enjoyable social encounter significantly. Content creators can more easily broadcast & test their content and community gatherings can be eased or better raise awareness in the game itself thanks to no longer being limited to Private sessions for custom games. It would be a revolutionary feature for Halo that would bring a significant amount of benefits to the players and perhaps the developers as well. As a Campaign, Co-op & Custom Games kind-of-guy when it comes to Halo, I’d definitely say that this feature alone would be a significant encouragement for me to demand 343 to shut up & take my money. This is some great stuff in here. Along with what you and several others have posted so far, I’m really happy with what I’m seeing. Might start my own one of these. I agree with all of what you’ve posted, but custom loadouts being left out. 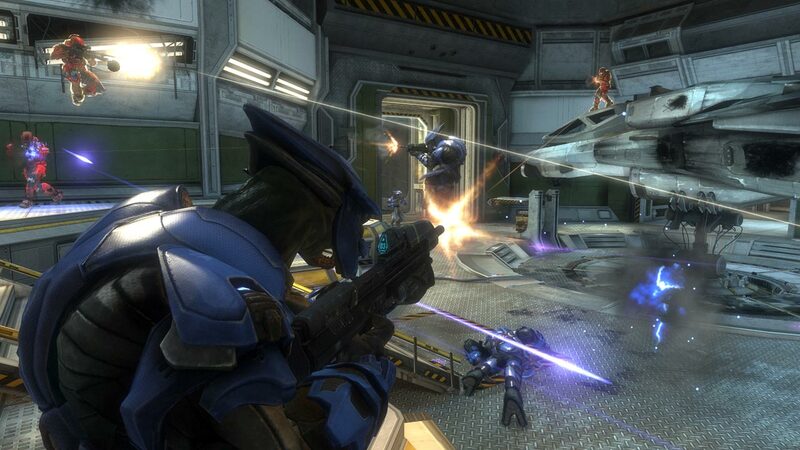 In my opinion, custom loadouts have a place in Halo, but only in PvE game modes like Fire Fight and Spartan Ops.